The return of the Purple Man! 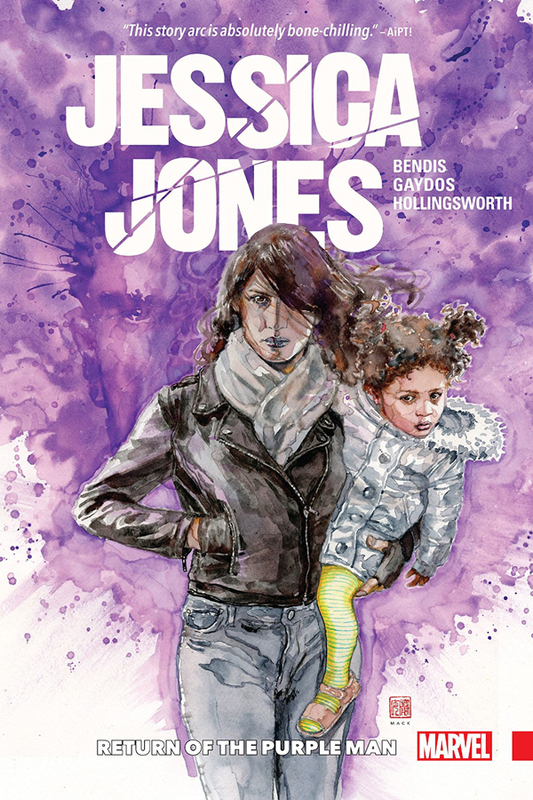 Jessica Jones is many things: Private investigator. Defender. Survivor. Mother. But when the most terrifying villain she’s ever faced comes back into her life, Jessica finds herself reliving her worst nightmare. The only thing worse than being stalked by the evil incarnate that is the Purple Man… is being stalked by the evil incarnate that is the Purple Man when you have a small child! As Killgrave finds new ways to torment his former pawn, he wreaks havoc across the Marvel Universe. But what curious thing does he want from Jessica this time? Never in the history of Marvel Comics has a horror so true and all-encompassing found its way to the door of one of our heroes. How can Jessica Jones and her family possibly survive it?